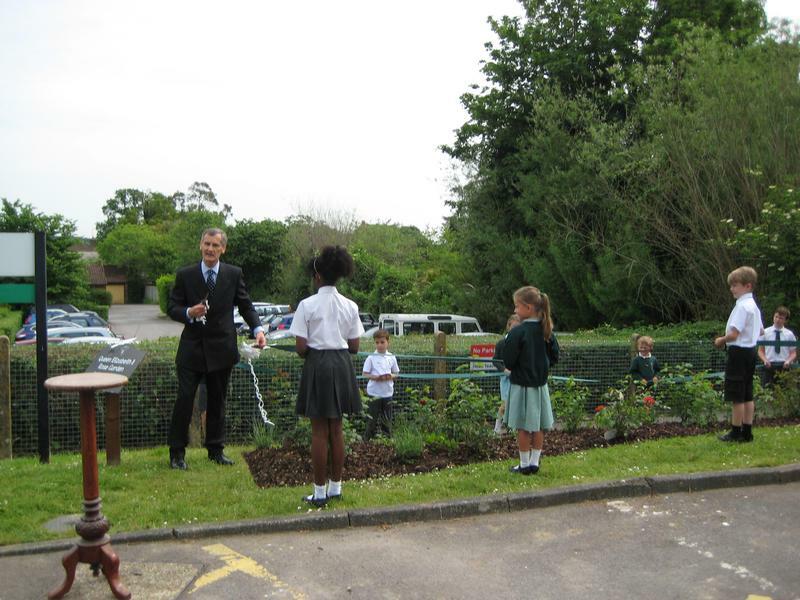 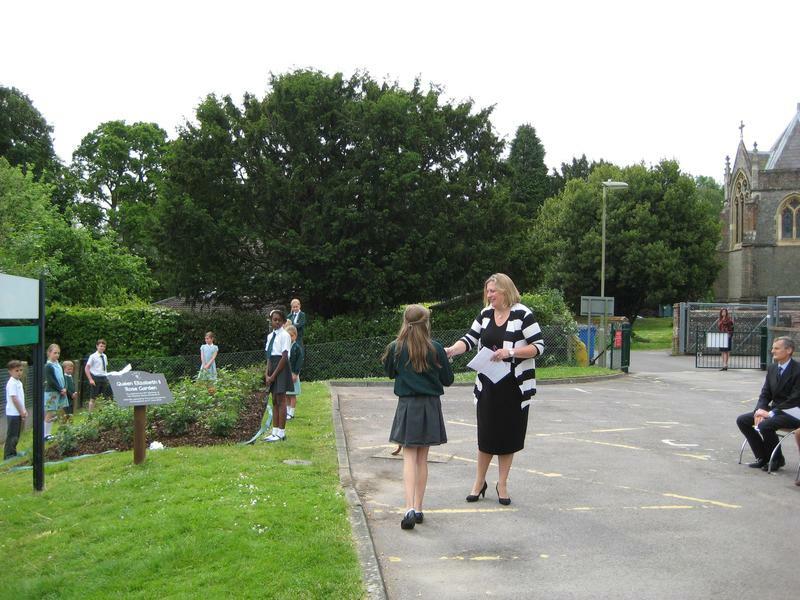 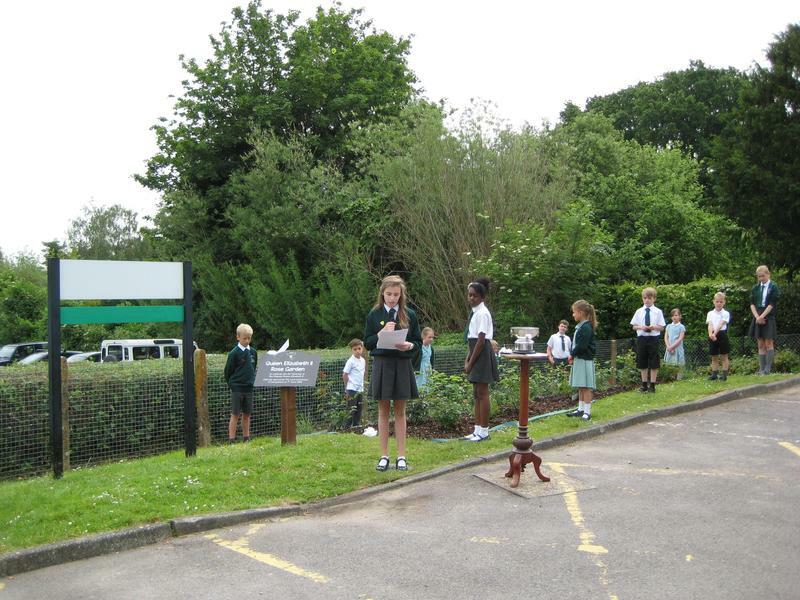 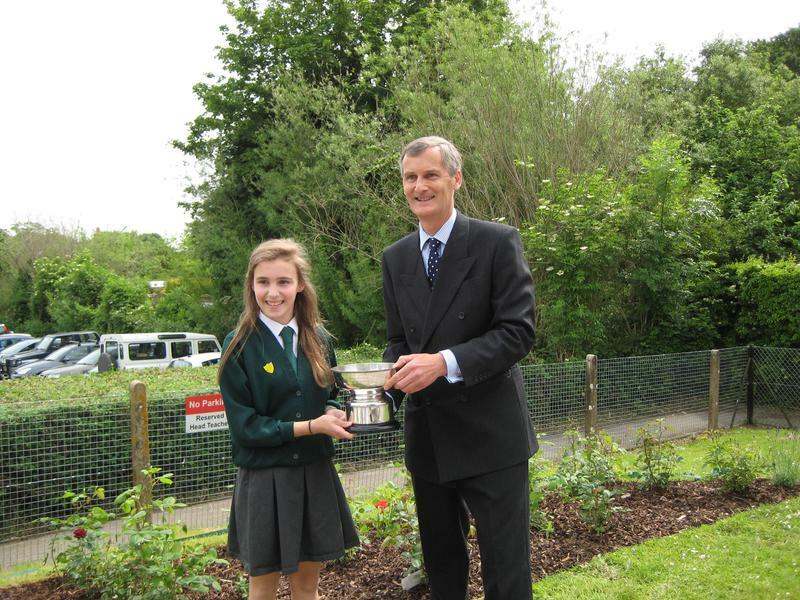 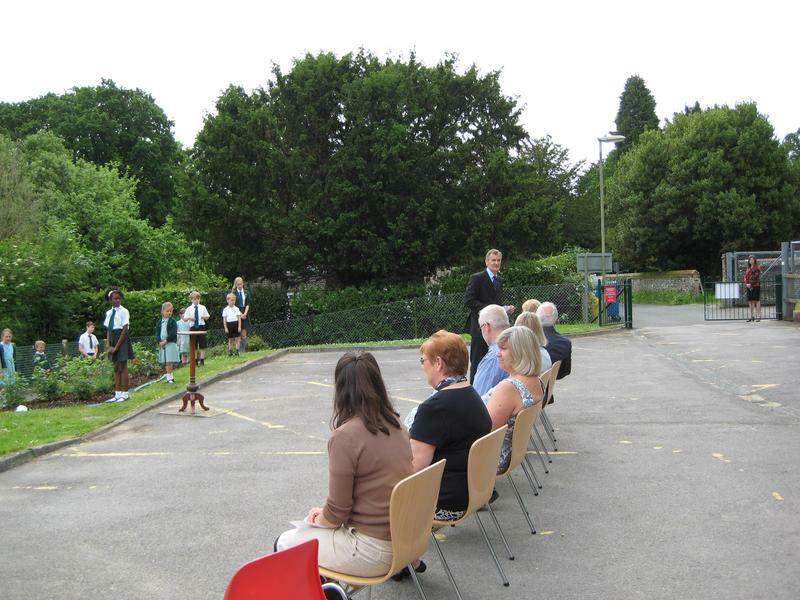 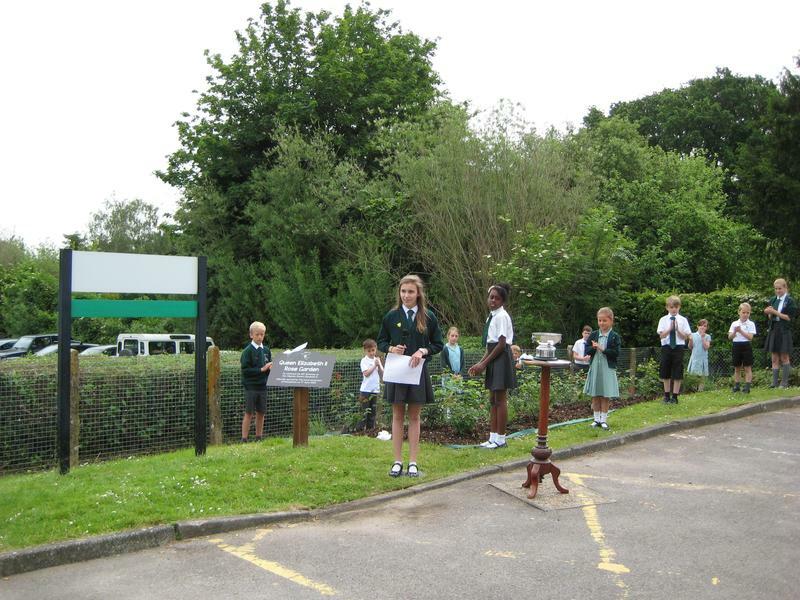 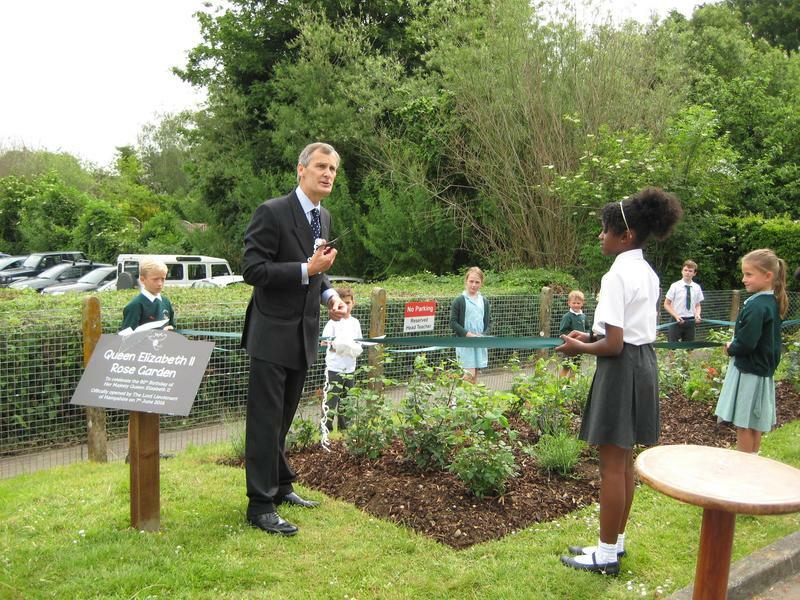 The newly created Royal Rose Garden was opened today by the Lord Lieutenant of Hampshire, Mr Nigel Atkinson. 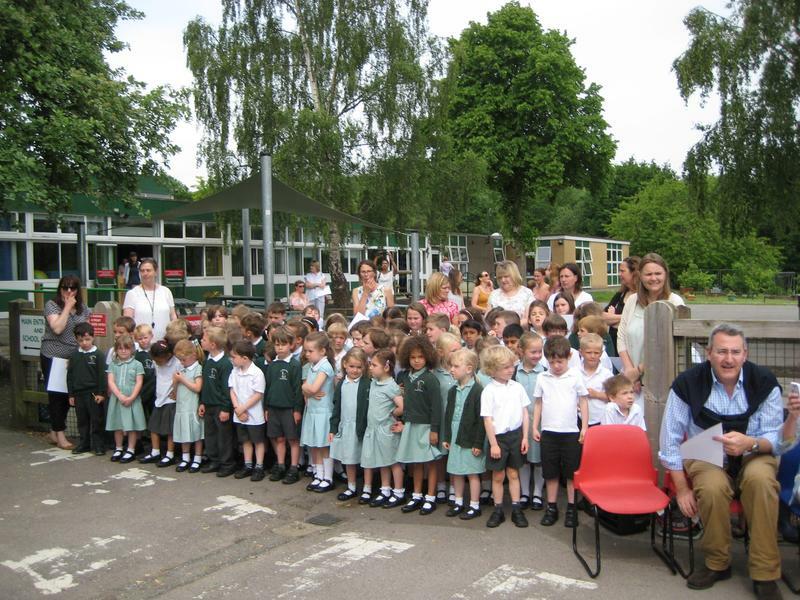 Also in attendance for the ceremony were:- Councillor Jan Warwick, Mrs Fran Morley from the National Trust at Mottisfont and Jeff Williams, the Diocesan Director of Education. 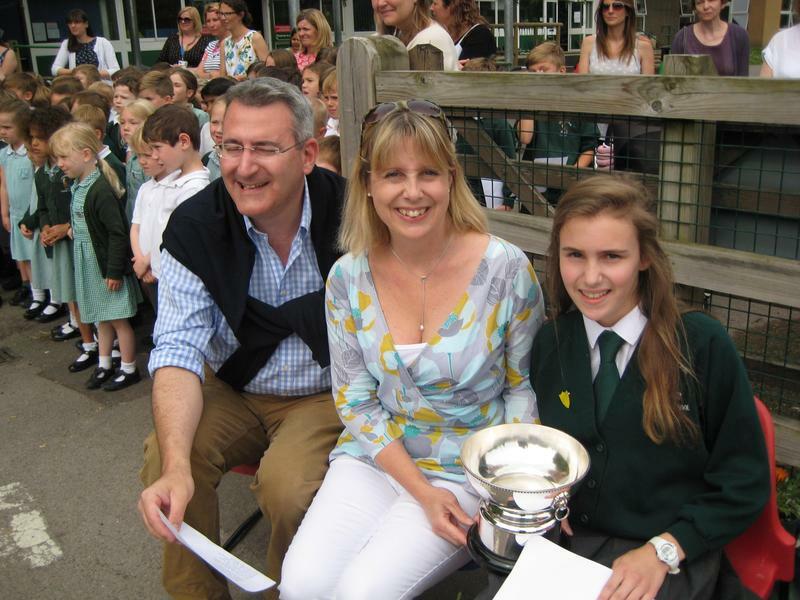 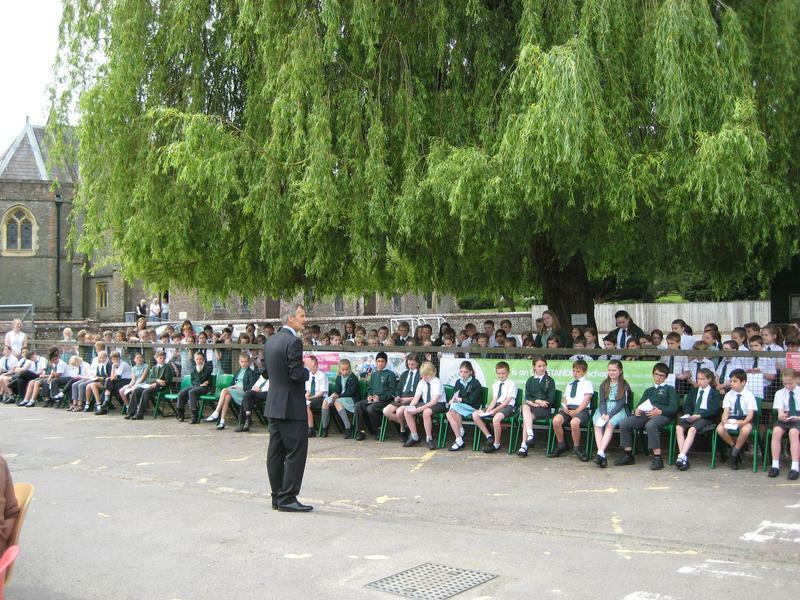 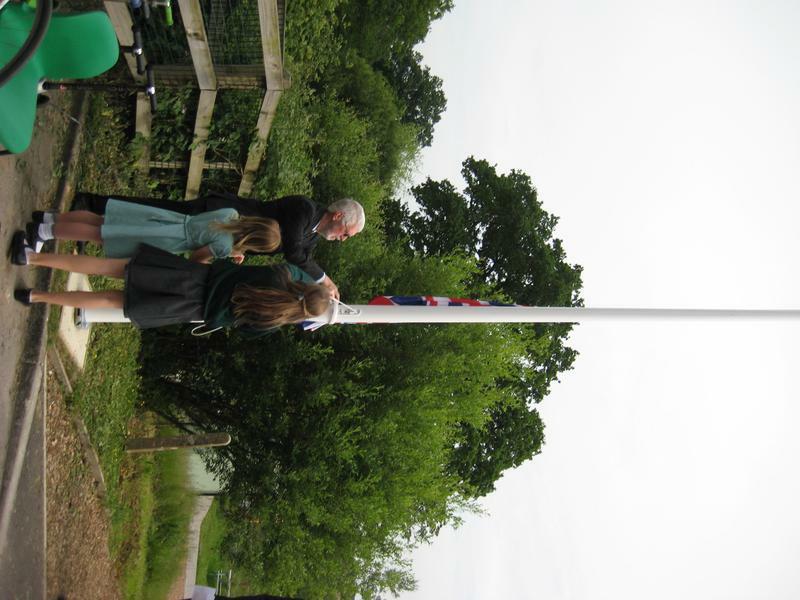 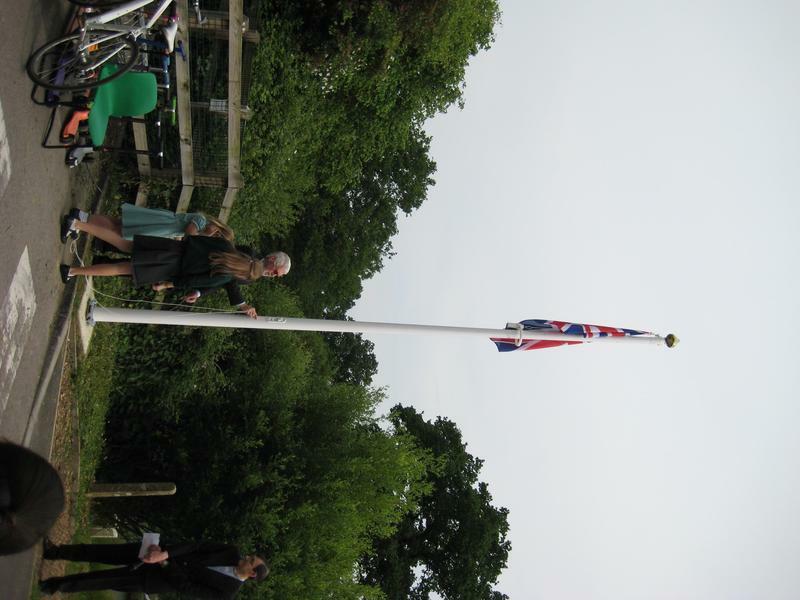 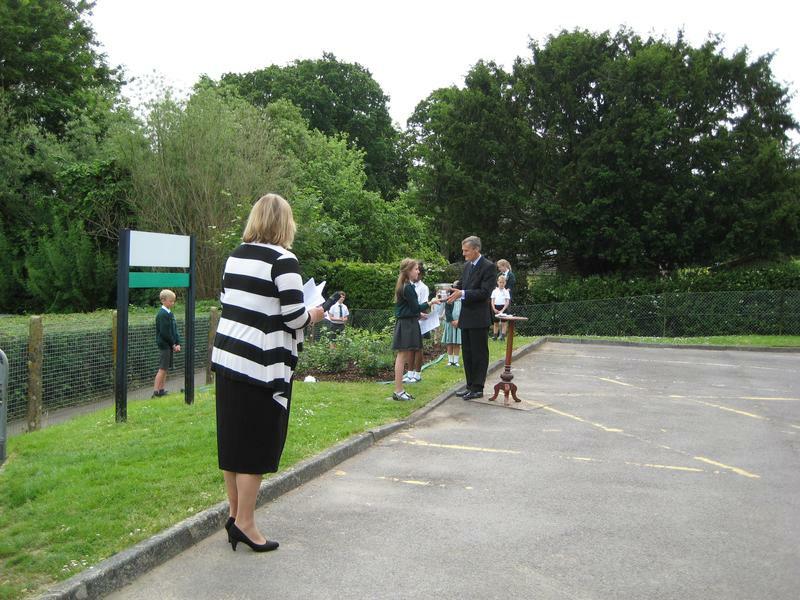 The ceremony, to celebrate the 90th birthday of the Queen, included the inaugural raising of the flag (kindly donated to the school by the current Year 6 parents) and a beautiful speech by Serena Moulin who was presented with the Oratory Cup by Mr Atkinson. 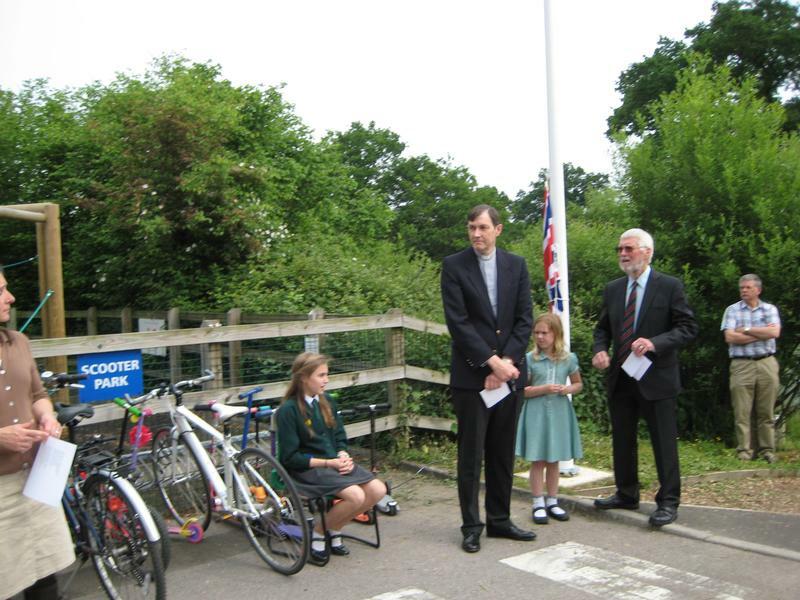 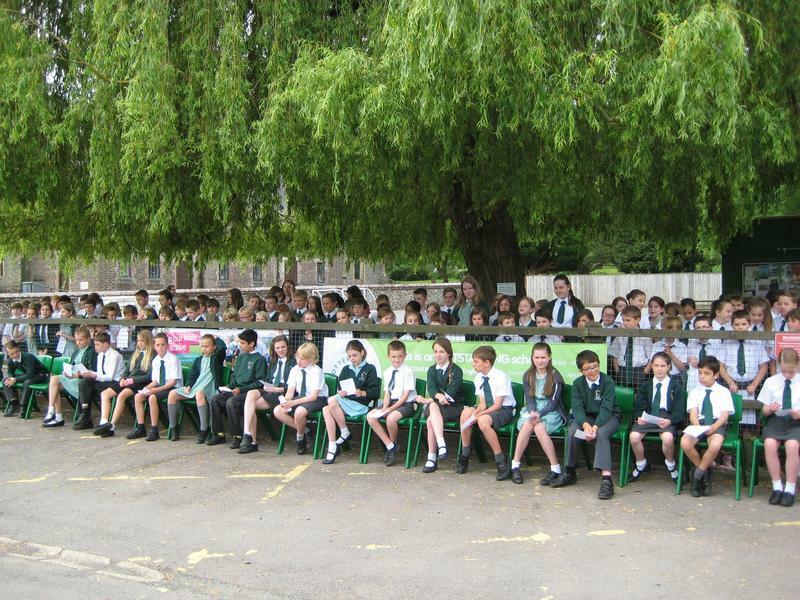 A photographer from the Echo and Hampshire Cronicle also took some photographs which will be published at a later date. 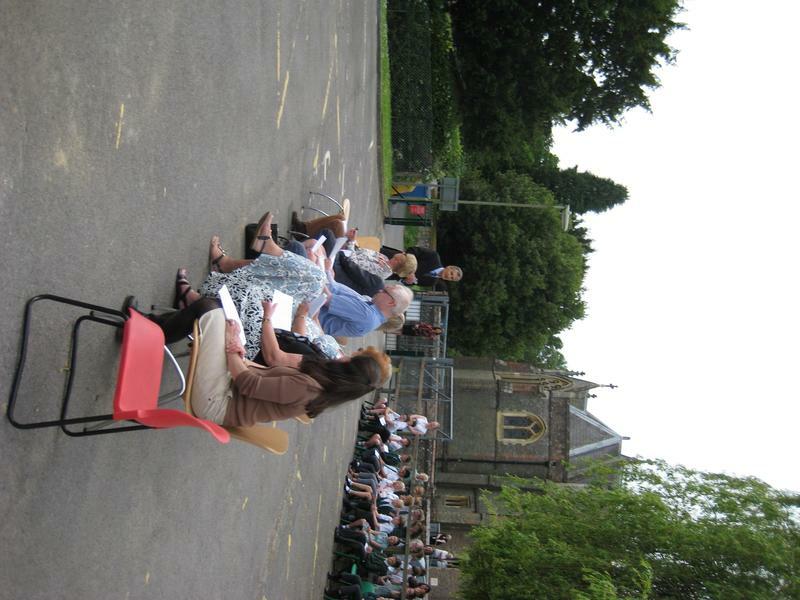 Thank you to all the parents and siblings who joined us for this special event.